First page of a short story made for the Danish comic anthology Fantasmagori #2. 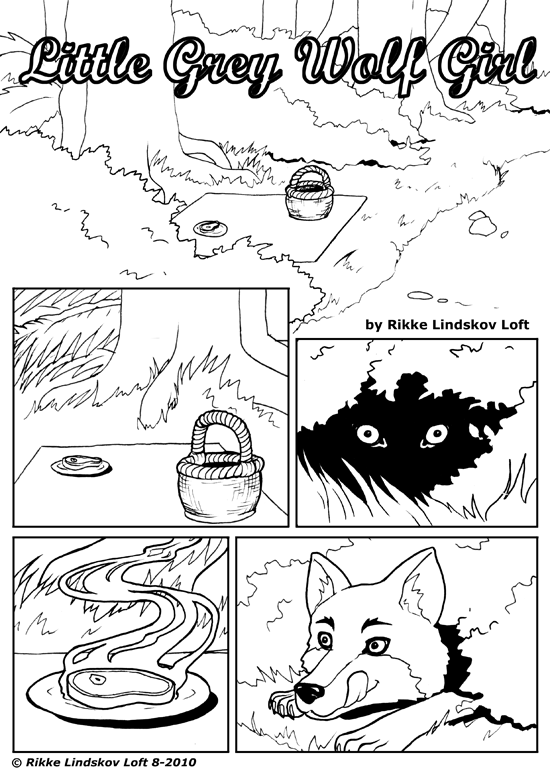 The concept I went with for this story was “A reverse version of Little Red Riding Hood”. I had tons of fun turning everything upside down in this one.